I would cast Kari Fisher, if she was in her 20s as beatrice because in divergent beatrice “I look at my reflection in the small mirror on the back wall and see a stranger. She is blond like me, with a narrow face like mine, but that’s where the similarities stop. I do not have a black eye, and a split lip, and a bruised jaw. I am not as pale as a sheet. She can’t possibly be me, though she moves when I move.” this shows she has blond hair, and a narrow face. Another reason “I step to the side so I stand in front of the mirror. I see muscles that I couldn’t see before in my arms, legs, and stomach. I pinch my side, where a layer of fat used to hint at curves to come. Nothing. Dauntless initiation has stolen whatever softness my body had. Is that good, or bad,” This is telling us that she is still young and Charlize Theron would fit the role. Other people say “People tend to overestimate my character,” I say quietly. “They think that because I’m small, or a girl, or a Stiff, I can’t possibly be cruel. But they’re wrong.” which is telling that she is not very tall of a person. I would cast Harrison Ford as Tobias Four Eaton aka Four because “The person who controls training sets the standard of Dauntless behavior. Six years ago Max and the other leaders changed the training methods to make them more competitive and more brutal, said it was supposed to test people’s strength. And that changed the priorities of Dauntless as a whole. Bet you can’t guess who the leaders’ new protégé is,” this shows that Four is strong, like Harrison Ford. “He wanted you to be the small, quiet girl from Abnegation,” Four says softly. “He hurt you because your strength made him feel weak. No other reason,” so Four needs to look sorta friendly and Harrison Ford looks friendly enough. “Taunting you? You mean when I threw the knives? I wasn’t taunting you,” he snaps. “I was reminding you that if you failed, someone else would have to take your place,” this relates to him being sorta sassy, and Harrison Ford looks kinda sassy, and the other roles he have played. 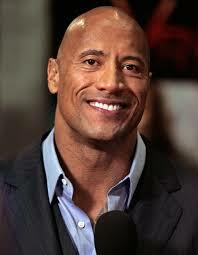 I would cast Dwayne Johnson as Caleb Prior because he looks thoughtful and “Beatrice. We should think of our family. But. But we must also think of ourselves,” and Dwayne Johnson looks like he would fit that description. “I push open the door just as Tobias, who is sitting on the floor with one leg stretched out, hurls a butter knife at the opposite wall. It sticks, handle out, from a large hunk of cheese they positioned on top of the dresser. Caleb, standing beside him, stares in disbelief, first at the cheese and then at me. “With my right hand, maybe,” I say. “But yes, Four is some kind of Dauntless prodigy. Tobias’s eyes catch mine on the word “Four.” Caleb doesn’t know that Tobias wears his excellence all the time in his own nickname,” this describes Dwayne because he wouldn’t hide behind a nick-name like caleb. “You know what mom told me once? She said that everyone has some evil inside them, and the first step to loving anyone is to recognize the same evil in ourselves, so we’re able to forgive them,” this would be Dwayne because I think he would say the same. © 2019 this is a blog.